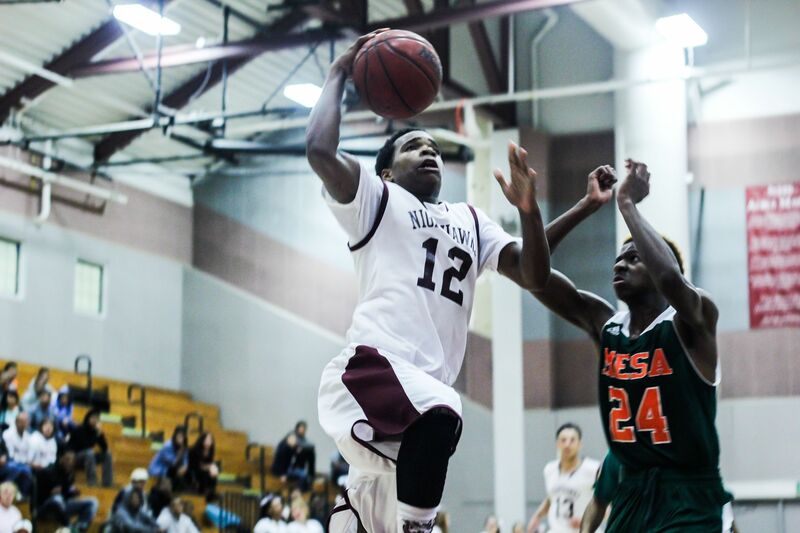 The struggles the Natomas High School boys basketball team went through in Brian Hamilton’s first year as head coach last season seem like distant memory. 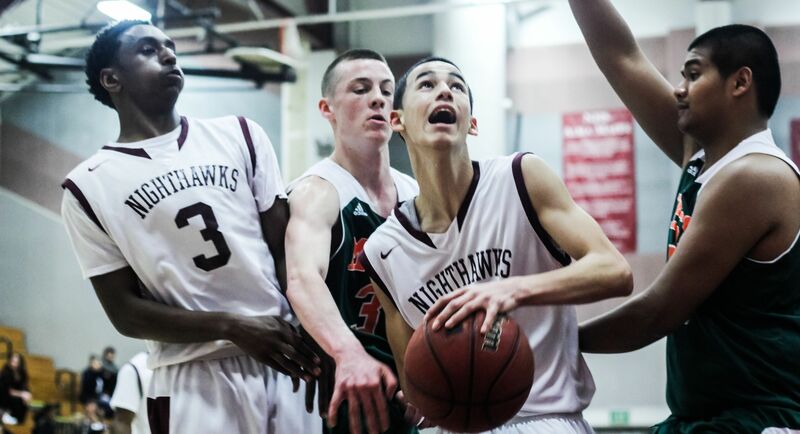 The Nighthawks beat Mesa Verde 90-56 in the second-round of the Sac-Joaquin Section Division IV playoff Friday in The Cage. Freshmen Mekhi Williams scored a game-high 26 points and Tri-County Conference MVP Phillip Morgan scored 22. “I’m just so happy for the kids,” Hamilton said. 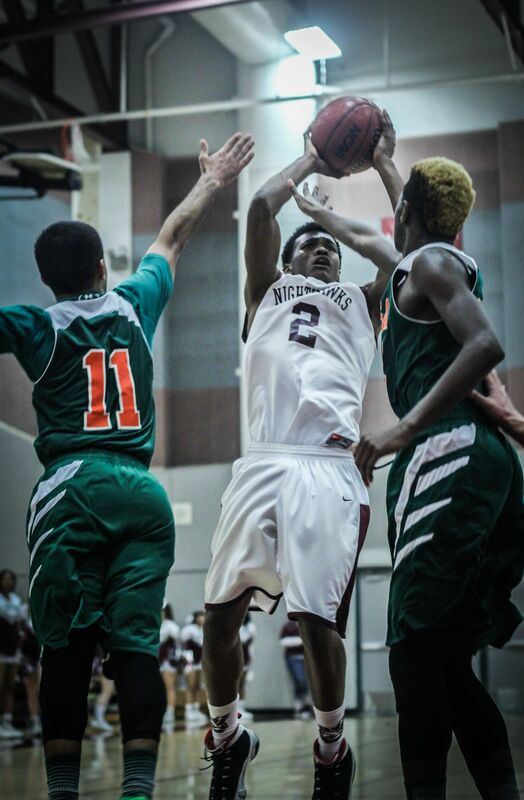 Natomas High (17-8) will play Riverbank High School (23-3) Wednesday, March 5 9 p.m. at Tokay High School in Lodi. The second-round playoff victory over the Mavericks is the eighth-consecutive win for the Nighthawks. Mesa Verde came in with a heavy half-court pressure defense against the Nighthawks. 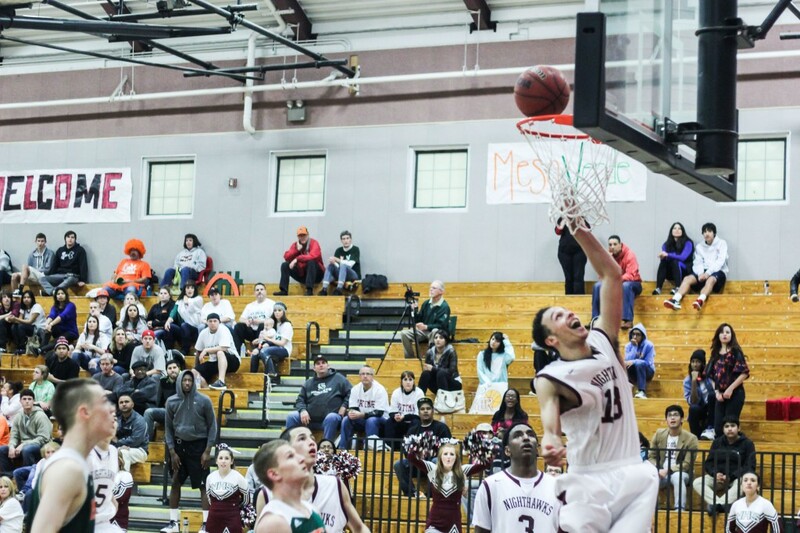 But Natomas High was able to score on high-percentage shots, like the two dunks by Morgan in the first quarter. The Nighthawks never trailed and maintained a double-digit lead from midway through the second quarter off four consecutive points from Jalen Manning. Manning, Williams and Jamey Morgan were also announced as all-TCC honorees earlier in the day along with Morgan’s MVP nod. Williams scored 14 points in the third quarter as the Nighthawks took 20-point lead off consecutive 3-pointers from Williams. “He hit some big shots for us and definitely played well,” Hamilton said. Advancing to the semifinals of the section playoffs qualifies the Nighthawks for the Northern California Regional playoffs next month. 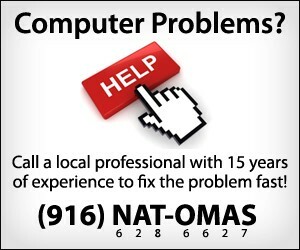 This is the first time Natomas High has advanced to the section semifinals since 2006-07 and will mark the first NorCal appearance since winning consecutive DIII section titles in 1999-2000. Jamey Morgan scored eight points for the Nighthawks and Francisco Lopez scored six.